One of my favorite subjects!! The high level bridge in the City of Lethbridge. This rail bridge is as much part of the landscape of the city as any building or coulee. 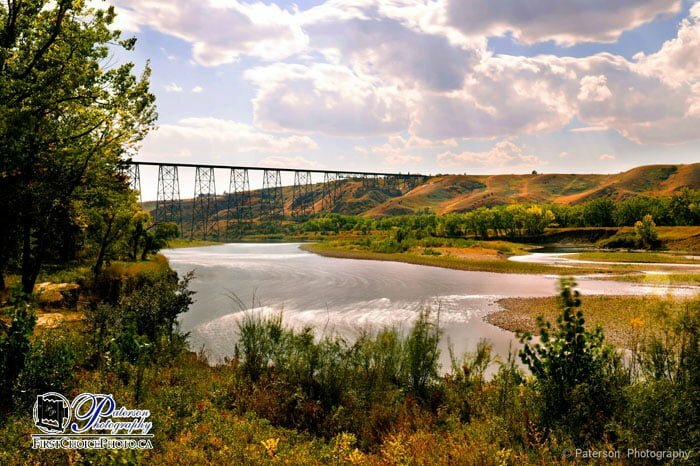 When I think of Lethbridge other than the wind the bridge is what I think of. I have had the privilege to take pictures of the bridge in all seasons. All times of the day and night and I still come back. This was a time exposure to show the flowing Oldman river.